Did you purchase the home in the last 30 days? THE MATERIAL CONTAINED IN THIS ARTICLE IS PROVIDED FOR GENERAL INFORMATION PURPOSES ONLY AND DOES NOT CONSTITUTE PROFESSIONAL ADVICE.LANDMARK HOME WARRANTY DOES NOT PURPORT TO BE A SUBJECT MATTER EXPERT WITH REGARD TO THIS MATERIAL, AND YOU SHOULD CONDUCT YOUR OWN RESEARCH AND/OR SEEK THE ADVICE OF APPROPRIATELY QUALIFIED PROFESSIONALS WITH REGARD TO YOUR SPECIFIC CIRCUMSTANCES BEFORE YOU TAKE ACTION. LANDMARK HOME WARRANTY ASSUMES NO RESPONSIBILITY, AND SPECIFICALLY DISCLAIMS ALL LIABILITY, FOR YOUR USE OF ANY AND ALL INFORMATION CONTAINED HEREIN. No matter if you've just purchased your home or if you've owned it for years, getting your locks re-keyed is a great way to increase your home’s security. Re-keying a home’s locks can prevent break-ins, update old out-of-shape locks, and is a cost-effective way to keep your loved ones and possessions safe and secure. 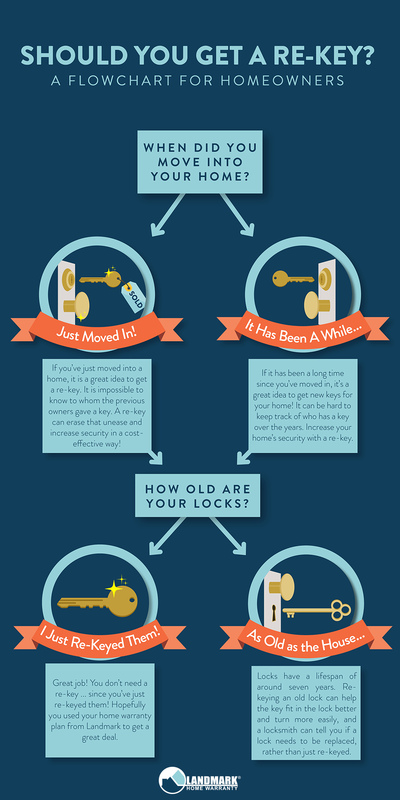 Many homeowners choose to re-key their locks once they have purchased a brand-new home. This helps newer homeowners feel secure in their new house as it takes away the unease of not knowing who else may have a key to their home. The previous homeowners may have given copies of their keys to previous neighbors, babysitters, or family members— or, even worse, just lost a copy of the key that anyone could have! Re-keying a new home’s locks is a cost-effective and fast way to keep a home safe, especially while moving. Even though most homeowners choose to re-key their locks after they have just moved in, you can re-key your locks at any time. You may choose to re-key your home for a variety of different reasons, such as losing track of how many copies of a key have been made and who has a copy. Over time, keys can be copied over and over again, and if they fall into the wrong hands, it can spell trouble for homeowners. The longer you have the same set of keys, the more likely it is that copies of that key have wandered off and been lost. It’s always a good idea to give your locks a refresh every once in a while, for safety’s sake. Homeowners may also want to re-key a door if the lock is a bit older. Most locksmiths say that door locks have a lifespan of seven years. A locksmith can re-key a door to help your key to fit in it better, turn better, and save you from a costly lock-picking charge if the key stops working altogether. If a locksmith comes out to your home to re-key locks, they can tell you if a lock needs to be replaced, rather than just re-keyed. 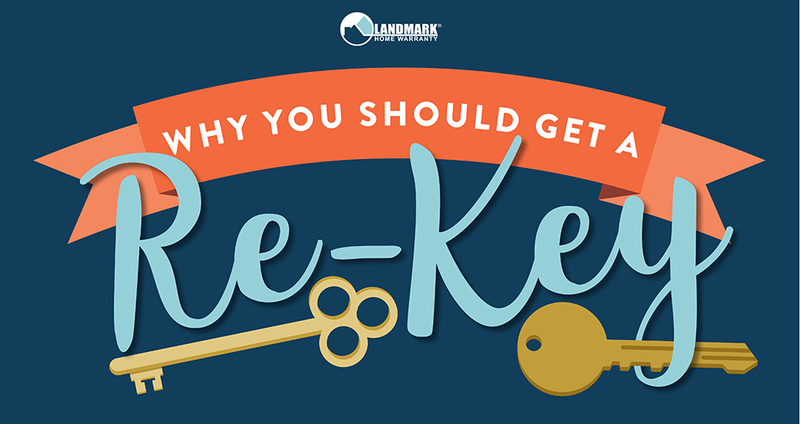 Many homeowners don’t know the difference between replacing a lock and re-keying it. Replacing a lock can be more expensive and time-consuming and requires replacing the entire lock and handle mechanism. Re-keying a lock is a less expensive option that doesn’t require as much time or money as the locksmith just resets the pins in the lock mechanism of a door and creates a new key that matches. Depending on your locks, replacing a lock may be a better option if the door and handle mechanism are older or if you’re just looking for a new look for your door handle. However, if your only goal is to increase security by getting new keys, re-keying your existing door lock can save you time and money. Replacing a door lock can cost $40-$100, plus around $20-$30 per door lock. If you have six doors with the same key, this can get up to $280 quickly. If you re-key a door lock, HomeAdvisor estimates most locksmiths will charge about $40-$100 but then only $5-$25 per lock cylinder. On average, hiring a locksmith for changing out door locks costs an average of $96-$210, with the high end of average costs reported being $350. 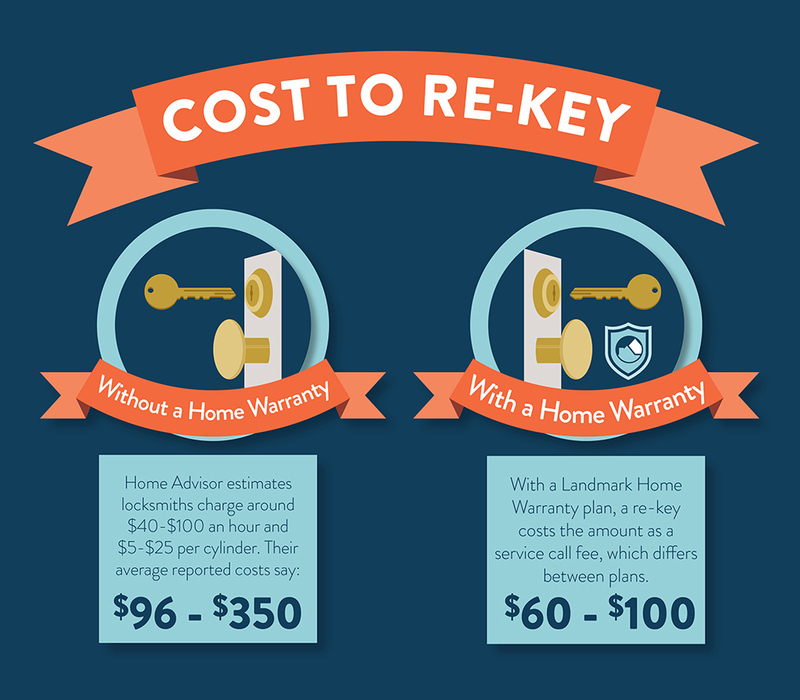 If you have a home warranty plan, you can have your locks re-keyed for a fraction of the price. All you pay is a service call fee! With a service call fee costing around $60-$70 depending on your plan, this can end up costing you 75% less than a traditional locksmith. If it is your first time into your portal, click the sentence "Don't have a password? Click here." and your password will be emailed to you. If you've logged in before, but you're not sure what your password is, click "Forgot Password" and follow the prompts. 2. Click the Green Submit Service Request button on the top right-hand corner. 5. Read through the coverage and accept the terms. Then click next. 6. Pay the service call fee, and your ticket will be opened for your re-key service and a contractor will be assigned to you! 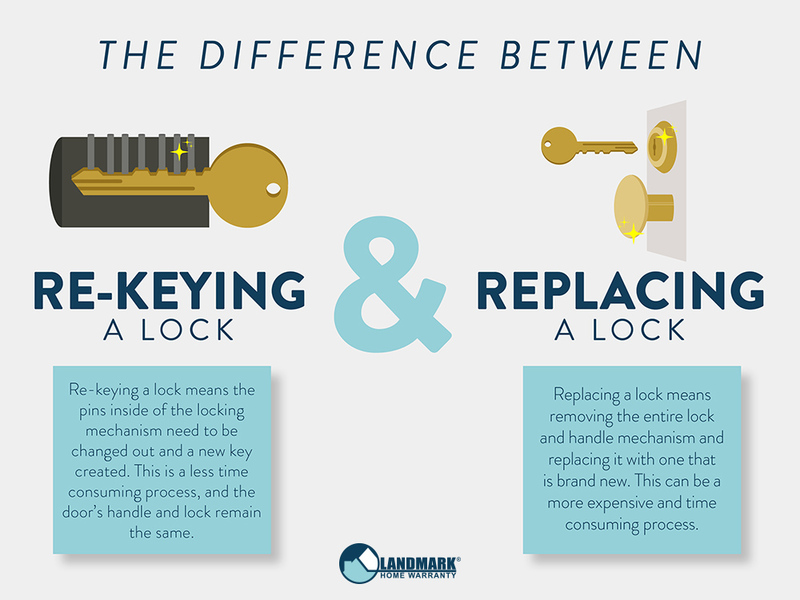 * Landmark's re-keying service does not cover non-standard cylinder door locks, such as high-security door locks, locks on storm doors, or biometric door locks , or lock picking. Please read through your contract for the full coverage, terms and limits. Follow our step-by-step instructions to complete easy DIY repairs and maintenance on your home's systems and appliances.